Addiction can happen to anyone from any background, social status, race, and gender. Many people are at higher risk of developing an addiction than others are. There are certain factors that increase the risk of a person developing an addiction to drugs or alcohol. Genetics, family history, mental health, and environment are some of the risk factors that make someone more susceptible to addiction. Addiction has an inherited component, often runs in families, and can be passed down from parent to child. Deni Carise, chief scientific officer at Recovery Centers of America says, “The science is clear: (genetics) play a very real role in the development of alcohol or drug disorders. If you have any family members who currently have or have had alcohol or drug problems, you are likely to be at higher risk (for addiction).” (Ruben Castaneda, 2018, U.S. News). In addition, some genes may make it harder for someone to quit once he or she starts using a drug. They may experience more severe withdrawal symptoms if they try to quit. Family history plays an important part in determining who develops an addiction. Metabolism is another factor that contributes to addiction. Each person absorbs and processes compounds differently and can determine the effect a drug will have on the body. (Medical News Today (2018). Environmental factors are also risks for substance abuse. A teen who lacks parental involvement or lives in an abusive home can turn to drugs and alcohol to cope with their emotions. Teens are faced with peer pressure and can easily be influenced to experiment with substances to fit in. Alcohol is available in most social settings to college students or other young people. 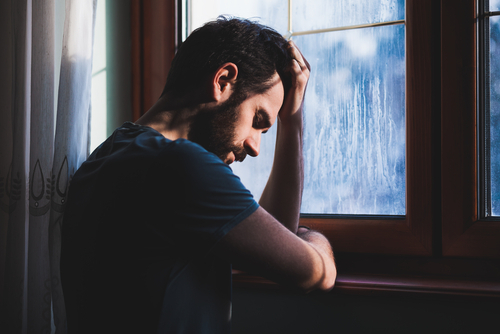 Mental health conditions such as depression, post-traumatic stress disorder, and anxiety influence a person’s risk of developing an addiction or substance use disorder. People use drugs and alcohol to cope, but certain substances actually increase depression and anxiety. Alcohol is a depressant and significantly amplifies a person’s depression. Opioids are often prescribed after an illness, injury, or surgery to manage a person’s pain and recovery. The problem with painkillers is some people develop an addiction to them. A person without any of the risk factors can also become addicted at any time. If you or a loved one is struggling with addiction, do not be afraid to get help. Addiction is complicated but is also treatable. Get help today.